"My Unplanned Journey" is a new book about a first hand account of a young woman's journey in life. Sory highlights the impact small decisions can make for the rest of one's life. In less than one week Top 40 in its category on Amazon! Press Release (ePRNews.com) - IRVINE, Calif. - Sep 09, 2017 - The book, “My Unplanned Journey,” was recently published in late August 2017, and has already jumped up to a Top 40 position (as of 09/02) in its own category. Nicole F. Church is a mother, a published scholar and author of “My Unplanned Journey.” She has a Bachelor of Science degree, a Graduate Diploma and a Master of Business Administration degree. The book highlight’s the author’s relatable story of dealing with a dysfunctional family, and her subsequent journey to find herself. Along the way author describes the challenges she faced, and starting her own family. The book has already received positive reviews on Amazon, as readers immediately state how they can empathisize and connect to the author. Buy a copy of the book for yourself, and see the world through the author’s eyes! The book is available for on Amazon for those with Kindle Unlimited, or you can purchase the eBook (Kindle) or hard copy (soft cover) at: https://www.amazon.com/MY-UNPLANNED-JOURNEY-NICOLE-CHURCH…. 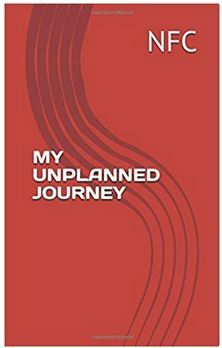 The book’s website is also available at: http://www.myunplannedjourney.com. Misty Jones's New Book "Teddy Looks for Something Special" is a Stirring Children's Tale That Celebrates the Specialness in Everyone.